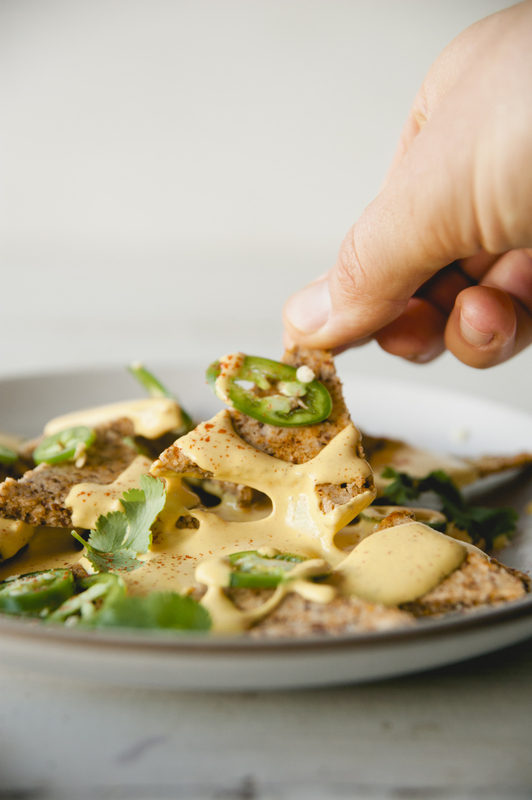 We have a Super Bowl secret for you, and it is healthier nachos. 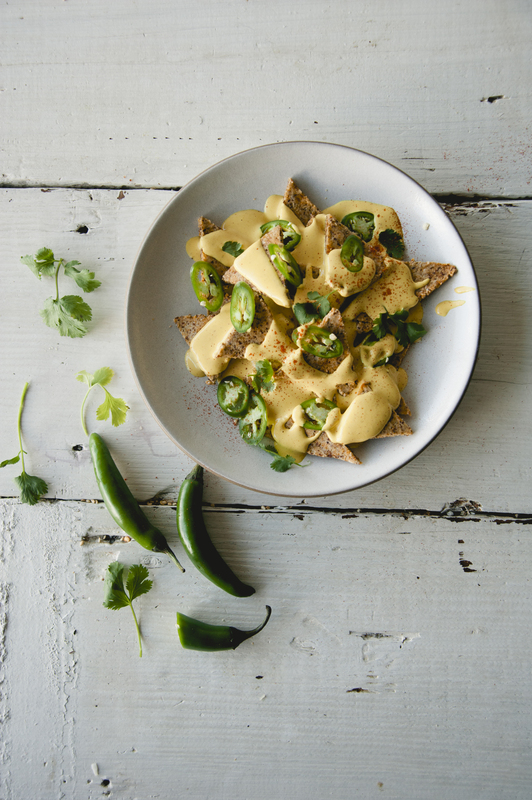 This is a delicious vegan cheese sauce atop our crunchy and delicious spin on tortilla chips. These flavorful little bites are now a new favorite. Feel free to make adjustments to the amount of hot sauce added. I love it spicy! Super Bowl, here we come! Place all ingredients in a high-speed blender. Blend on high for about 2 minutes. Refrigerate until use. Combine all ingredients in a bowl and stir until dough forms. Roll dough between two pieces of parchment paper. Remove top layer of parchment and cut dough into triangles. Place on baking sheet and put in oven. Bake about 12 minutes. Remove chips from oven and cool to room temp. Note: I recommend serving the nachos shortly after baking because they taste SO good fresh. If you need to make ahead, you can pre-make and cut the batter and store in the refrigerator overnight. 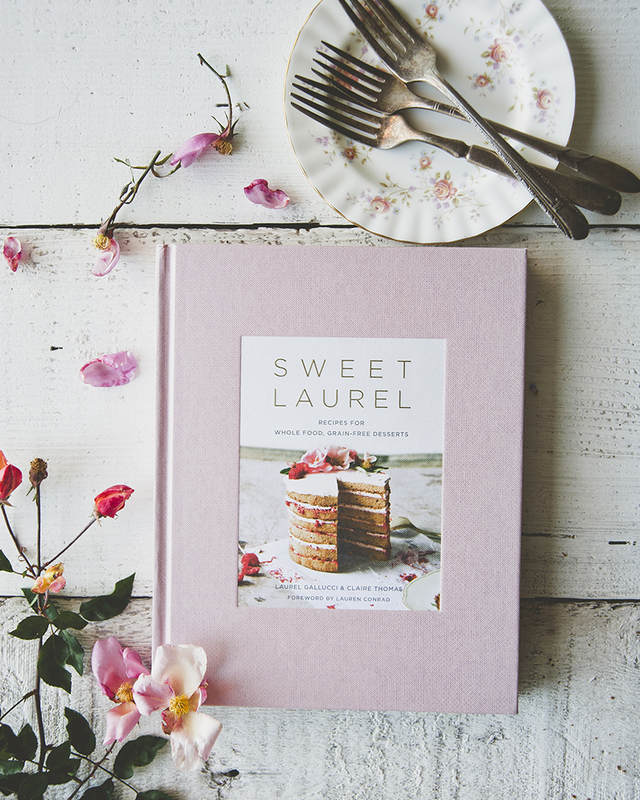 Bake off before you plan to serve and enjoy! 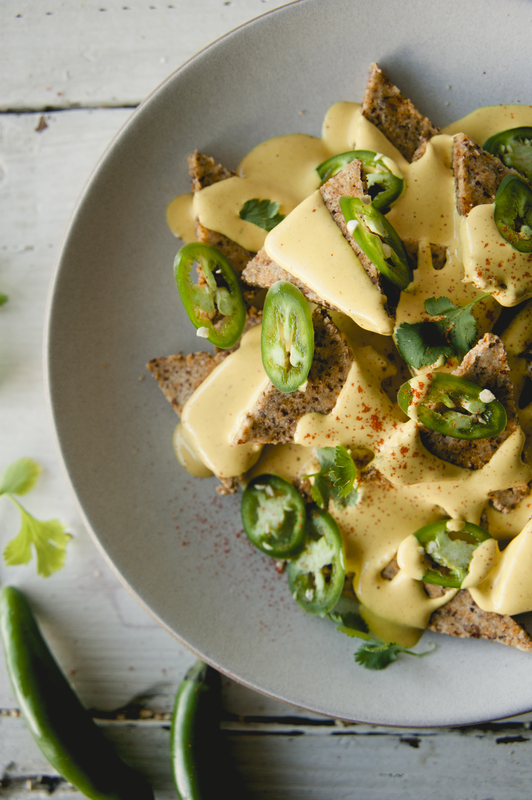 **You can make these chips vegan by simply substituting a flax egg (To make: Add 1 tablespoon freshly ground flax seed to with 3 tablespoons of water. Let mixture sit for 5 minutes before adding to batter)! Place baked tortilla chips on a pan lined with parchment paper. 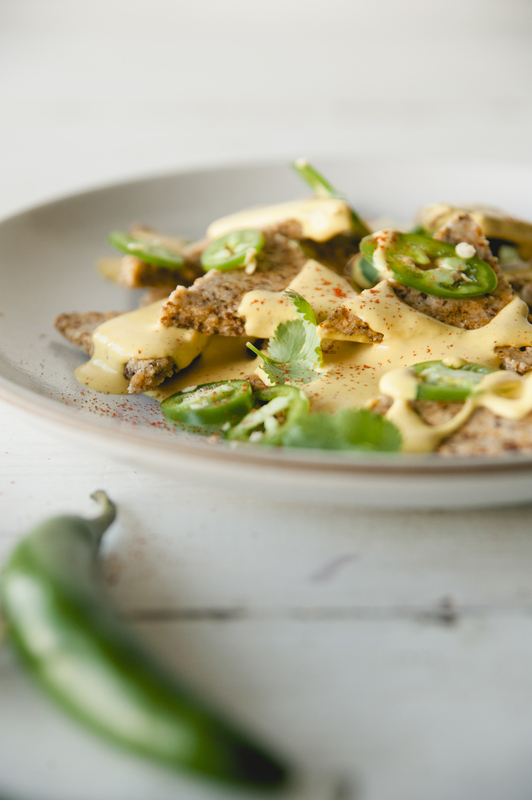 Pour desired amount of cheese sauce over tortilla chips and bake about 10 minutes. Toss thinly sliced serranos or jalapenos on top, and a sprinkle of paprika. Serve and Enjoy! This entry was posted in appetizer, baking, event, savory, snacks, Uncategorized and tagged dairy free, events, family, favorite, gluten free, grain free, himalayan pink salt, nachos, onion, paleo, paleo tortilla chips, pine nuts, refined sugar free, snack, spicy, sweet laurel, turmeric, vegan, vegan cheese, vegan cheese sauce on February 4, 2017 by sweetlaurel.